In his first fight in the United States in over two years, Manny Pacquiao would generate a strong house for his showdown with Adrien Broner. The January 19th event at the MGM Grand Garden Arena would generate over $6 million from 11,410 tickets per a report from the Nevada State Athletic Commission. 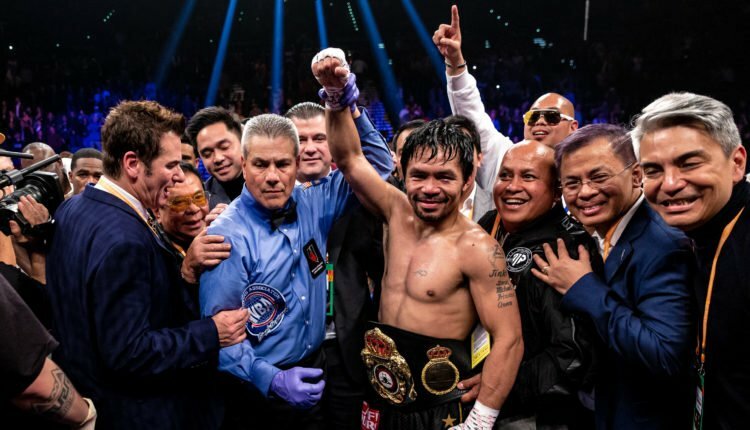 This news follows the report of 400,000 buys for the Showtime event on Pay-Per-View, the highest number for Pacquiao since his 2015 loss to Floyd Mayweather which sold a record 4.6 million buys. The $6,000,032 figure would double Pacquiao’s 2016 win over Jessie Vargas, which drew a gate of $3.019 million with 13,103 tickets sold.